The Linksys WUSB6400M AC1200 MU-MIMO USB Wi-Fi Adapter is a dual-band wireless adapter that upgrades your Windows®-based laptop, MacBook® or desktop computer to the latest Wi-Fi standard. 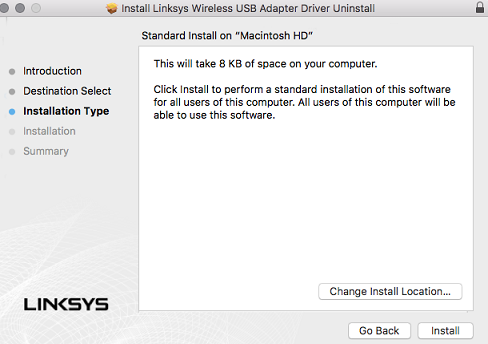 This article will help you properly uninstall the Linksys WUSB6400M adapter on your computer. Click the Windows key on your desktop, then type control panel. 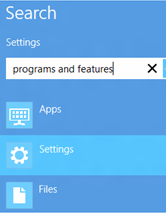 Click on the Uninstall a program option, under the Programs category. Locate and select Linksys WUSB6400M. Then, click Uninstall. 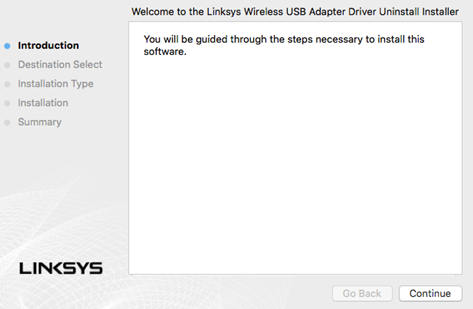 NOTE: If the Linksys WUSB6400M is not on the list, then you can safely uninstall the driver from the Device Manager. 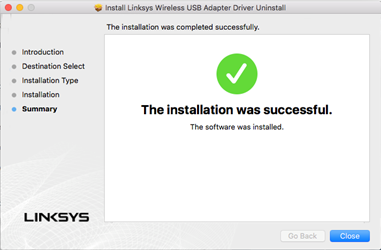 You will be prompted to disconnect the wireless USB adapter from your computer to complete the uninstall process. You should now have successfully uninstalled the Linksys WUSB6400M. 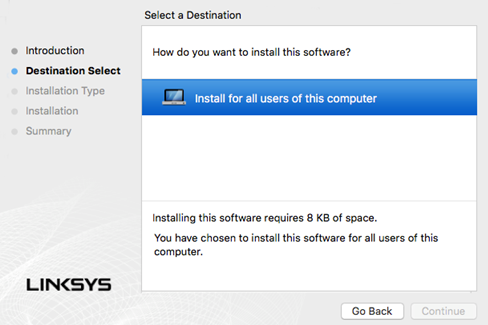 If you want to reinstall the driver, it is important to check if the Setup Utility appears in the list of Programs first to prevent any issues. On the Charms bar, click on Search. Enter programs and features in the search field. Make sure you click on the Settings option. 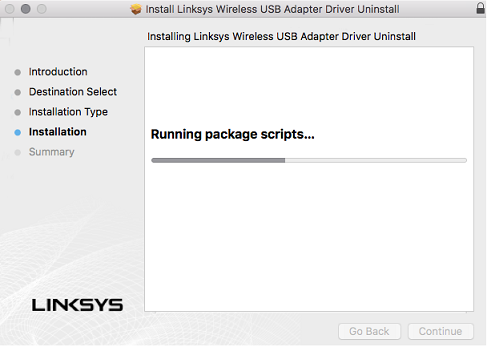 NOTE: If the Linksys WUSB6400M is not on the list, then you can safely uninstall the driver from the Device Manager. To learn how to do this, click here. Click the Pearl button and select Control Panel from the menu. Insert the Setup CD into your computer and run the Uninstall.pkg file. QUICK TIP: If you have lost your Setup CD, you can download the Setup Utility package from the Linksys WUSB6400M Downloads page. The Uninstall.pkg file is included. This will start the uninstall process, click Continue. Select the Install for all users of this computer option and click Continue. Wait for the uninstall process to be completed. Disconnect the wireless USB adapter. You should now have successfully uninstalled the Linksys WUSB6400M.